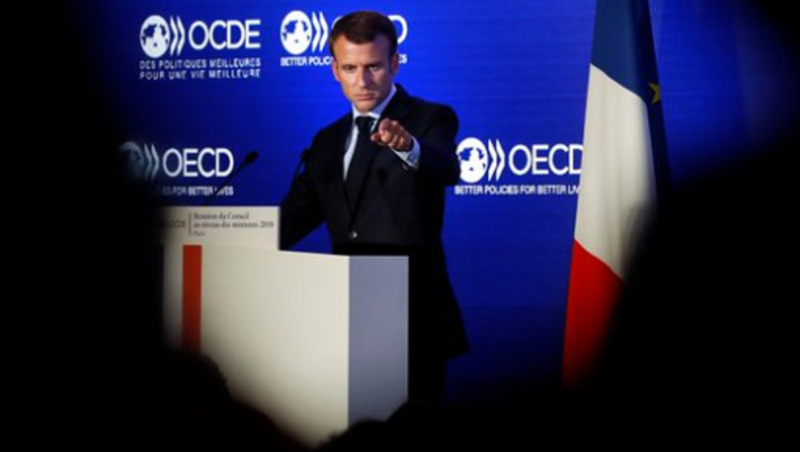 “That is exactly what happened in the 1930s," the French President claimed, whilst at the same time vowing that the European Union would consult its member states and respond “in a firm and proportionate manner”. As of yesterday, US tariffs of 25 percent on steel imports and 10 percent on aluminum came into effect for Europe, Canada, and Mexico. Although there had been hope for possible exemptions, the parties did not reach a deal in the end and some in Europe now blame a hardening of the Trump administration's stance towards any future trade negotiations. Mr Emmanuel Macron declared that he had spoken to Mr Donald Trump over the phone about the matter and that he had told him directly that such a move by the Americans was simply “illegal”. "This is not the way we do business, and certainly not between longstanding partners, friends, and allies." Our president does have the authority to control pricing on steel and other materials as a matter of national security. Don't think for a minute Macron is a 'close allie" of President Trump after his speech to the Congress members when he was visiting the USA. As far as not negotiating…What is there to negotiate? As far as claiming there will be a war that his problem. He has his own problems controlling the invasion into his own country. So the US is supposed to accept foreign goods/cars for measly tariffs coming in but the few American cars they import get pounded by huge tariffs. This is the EU telling their people to buy local and if you insist on American goods… get out your wallet. Kinda like 0bummer saying that people could still build coal fired power plants in the US but he will make sure it bankrupts them in the process. Foreign countries should pay the same tariffs they impose on our goods. The fourth reich is cucked completely their armies are trash not one one hundredth our strength even combined with totally non functioning nations like mexico and cuckanada a war would be over in less than three months or else nuclear apocalypse. It's not nationalism that is the problem of causing war, but rather government subsidies of industries that would fail on their own without taxpayer support. Pride always go before a fall and those that don't allow the fall to happen usually end up with a big stink that should have been buried long ago. it's part of the never ending canabalism of government. Eat your own until there is nothing there then go after someone else……. War!